Mikes 4th Mazda here at City Mazda!!!!!! 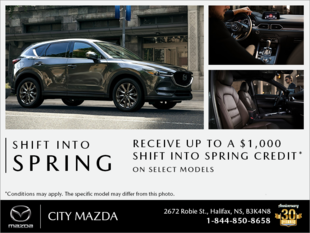 Abel and the crew at City Mazda were extremely helpful! Made my transition smooth, and My wife's first official purchase absolutely awesome. My 5th Mazda and I'm thrilled with the service!